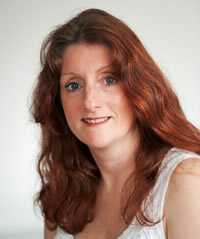 This week I’m welcoming author Patsy Collins to share the Thursday Throng with me. Patsy is an expert at the short story, having lots published in various publications over the years. She, like me, lives on the South Coast of England. What a wonderful read this book was. I thoroughly enjoyed the ups and downs of two friends flirtations with life changes and was taken in by the twist at the end. Patsy has created two wonderful characters in Stella and Daphne and it would be a fab read for those who like a little light reading for the holiday season. I’m now off to grab a copy of Escape to the Country which also comes highly recommended. I honestly can’t think of anything that people might like to know that I haven’t already made public, so I suppose it must be either that I’ve lead a very boring life or that I can’t keep a secret! The worst review I’ve (so far) had on Amazon gave me two stars. It did say the book (Escape to the Country) was an enjoyable read though. Writing can, in theory, be done almost anywhere and any time. In practice it’s easy to do it somewhere else later on, instead of just getting on with it. I’ve done lots of other jobs. My first was milking cows, then I worked in an off licence, as a telephone operator, shop manager, travel agent, in accounts, as a waitress and a tour guide. I don’t wish to do anything else instead of writing, but I’m glad I’ve done those things as well. The things I’ve done and the people I’ve met are great story material. Not that I use real people or events in fiction. At the risk of it seeming I’m protesting too much, I really don’t. At least, not whole people and complete events. I treat my life history like a spice rack and use it to flavour my fiction. Not deliberately. My computer screen is a bit shiny and reflective, plus I prefer to have the window open and my office overlooks a park. Sometimes though I have an idea just as I’m getting into the shower. When that happens I leave the desk light off, try to keep low and scribble myself a quick note. The police haven’t been round, so I think I’ve got away with it. I like to do my research quite thoroughly, so because various characters have attended an inquest, delivered a calf, prepared flowers or had tea in the Crypt of St Paul’s Cathedral I’ve done these things myself. Fortunately my characters don’t wrestle crocodiles or bungy jump! They do eat and drink quite a bit though and every time you read about one of them drinking an exotic cocktail, or eating a slice of decadent pizza you can be sure I too have sampled whatever it was – yes, even the weird green liqueur in A Year and a Day. 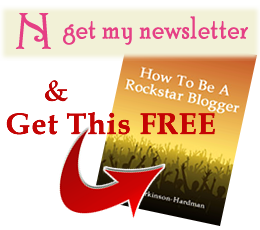 Is it too cheeky to say ‘my blog‘? 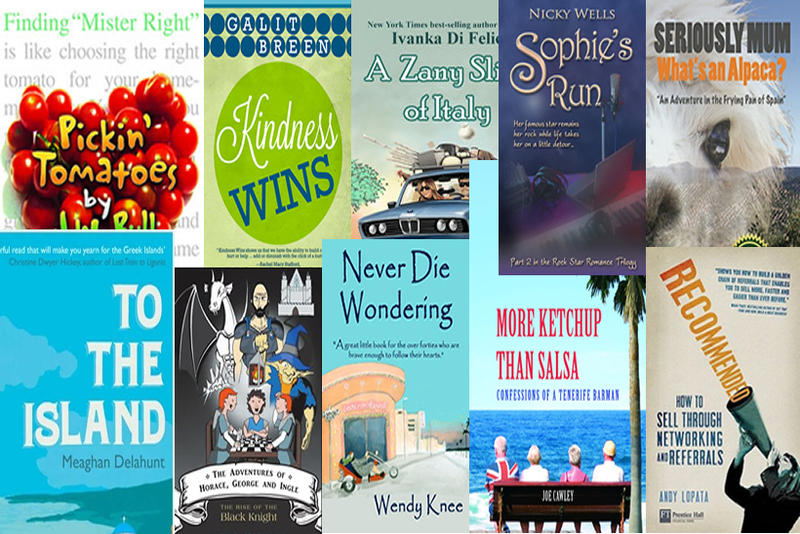 I regularly give details of free to enter writing competitions and book give aways. I wouldn’t hide it. If something’s hidden it can be found so hiding it isn’t part of my plan. Wouldn’t be, I mean – it wouldn’t be part of my plan. Put the pointy end of the pen towards the paper. Really it’s that simple to start and you have to start in order to get anything done. You can go to classes, read books, attend events (and I’m not saying you shouldn’t do any of these things) but the only thing that can turn an aspiring writer into an actual writer is to get on and write. 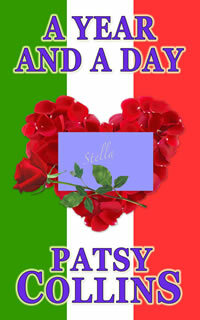 Where can you find out more about Patsy and buy her books? A Year and a Day is available on Amazon in Kindle format from Amazon.com and Amazon.co.uk. Thank you for hosting me today, Linda. I’m really pleased you enjoyed the book and naturally I agree it would make a great holiday read! Nice to ‘meet’ you too, Lesley. OhI don’t know, Joanna. Good books usually do have lots of people and events squished together.